Super Knights Now Available for FREE on the App Store! Chillingo and Focus Home Interactive are happy to announce today, that you no longer have any excuse for not playing Super Knights, as the game is now available for free on the iOS App Store! This scoring app released earlier this summer has been praised by players worldwide, thanks to a simple yet addictive gameplay, and a really fun atmosphere: players grapple and swing around anchor points to fill pockets with sparkly gems, collect treasures, save princesses and dodge the attacks of countless enemies! This unique and addictive game mechanic quickly captivated players, who try to reach higher scores and unlock even more power-ups! Today is definitely a perfect day to discover and play Super Knights, as it is now downloadable for free on your iPhone and iPad! And that’s not all! Not content with becoming a free App, Super Knights also comes today with hot new community features! With Facebook now embedded into the game, all your friends will now appear on the game’s leaderboard and will be able see your new scores and challenge you! Invite your friends to join you, send them the gift of powerful items so they progress faster and receive powerful bonuses in return. Show everyone who is the best of all Super Knights! 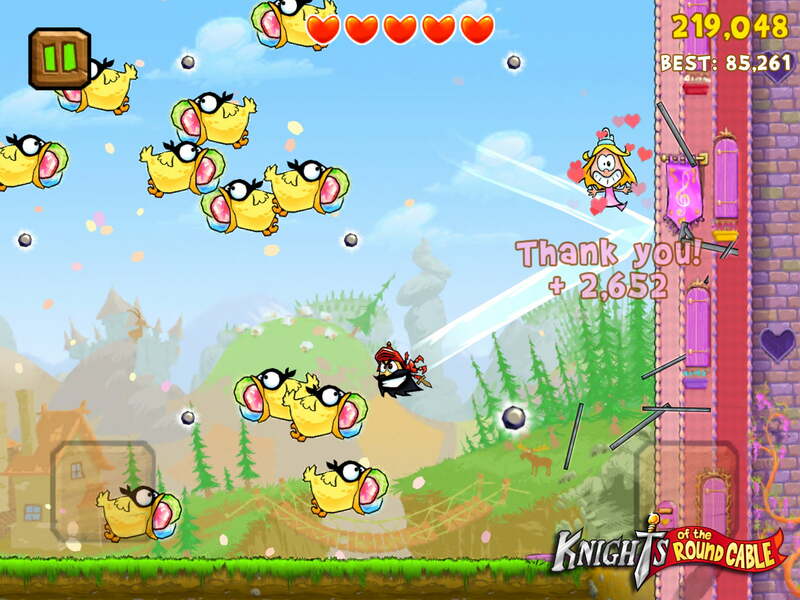 Super Knights is now available for free for your iPhone and iPad on the App Store… tell all your friends!